The Matt Ward History Experience traveled to Lehigh University in Bethlehem, Pennsylvania for the second stop on the 2016 College Football History Tour. 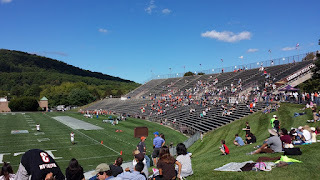 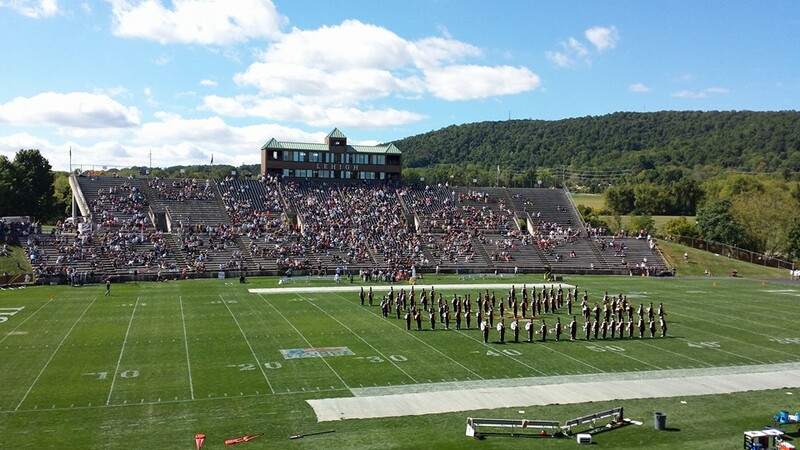 The Lehigh Mountain Hawks hosted the Princeton Tigers (Princeton, New Jersey) on September 24th. 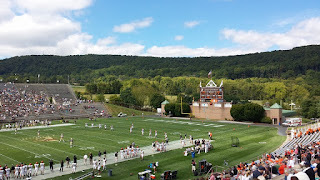 Lehigh University, a private research university in Bethlehem, was founded in 1865 by Asa Packer. Packer was a businessman and Pennsylvania political figure who amassed a large fortune building up the railroad industry. 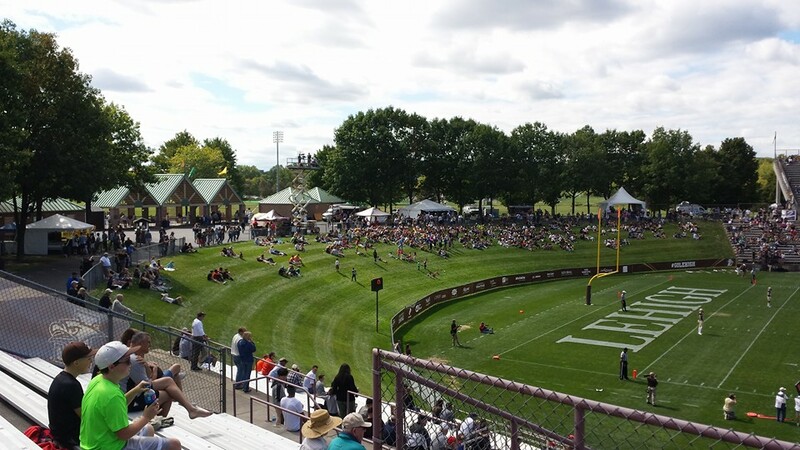 From 1871 to 1891, Packer's endowment allowed the college to offer education free of charge to students who did well on a competitive exam. The football program at Lehigh dates back to 1884, with the first official team being organized in 1894. 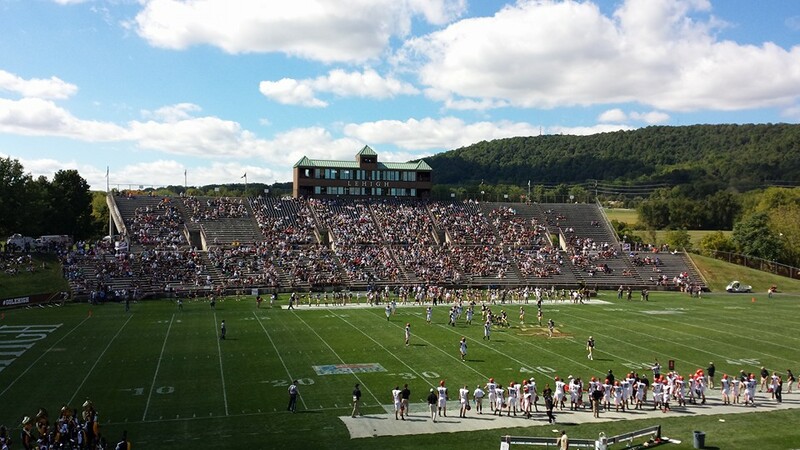 During the 1884 season, Lehigh met their longtime rival Lafayette for the first time in a match up that became known as The Rivalry. 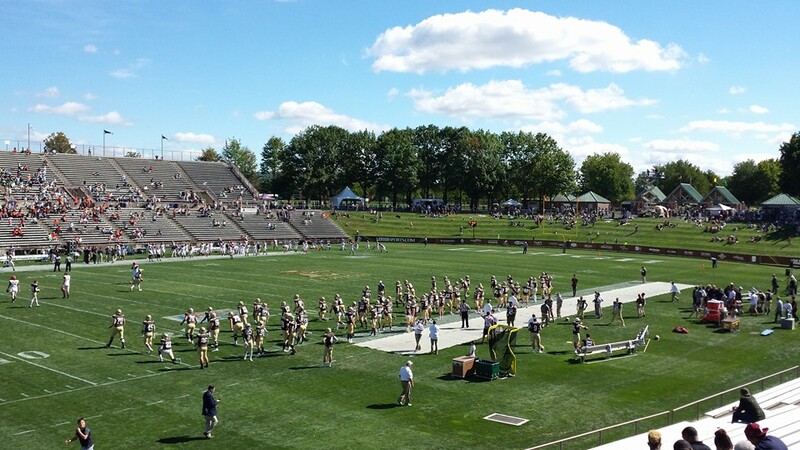 Since 1896, the two teams have played each other every year. 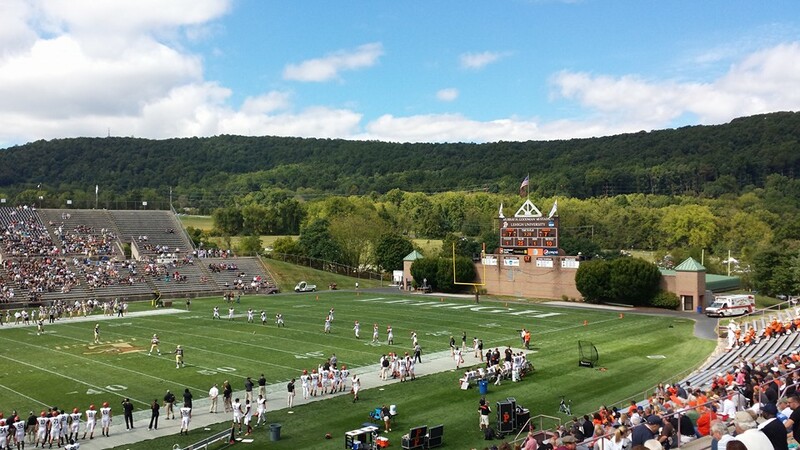 Lehigh's football team was originally known as the Engineers, a name that would last until the 1990s. 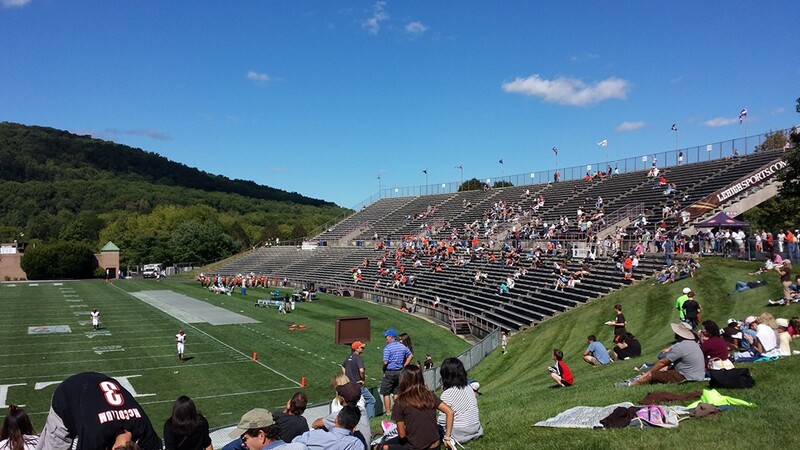 From 1914-1987, Lehigh called Taylor Stadium their home. 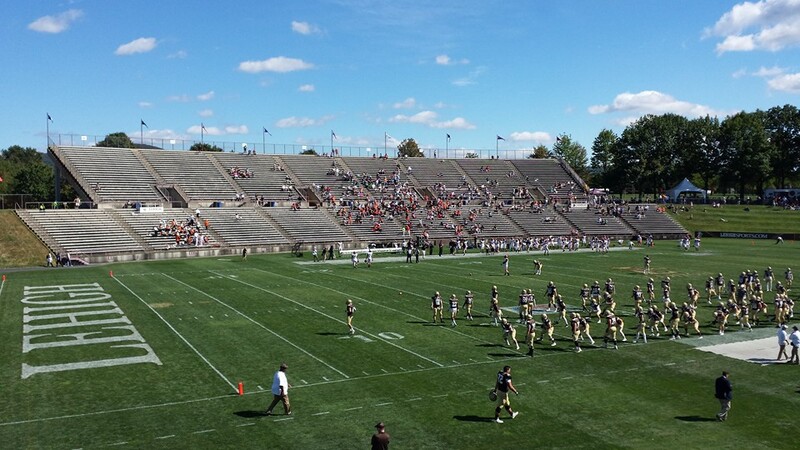 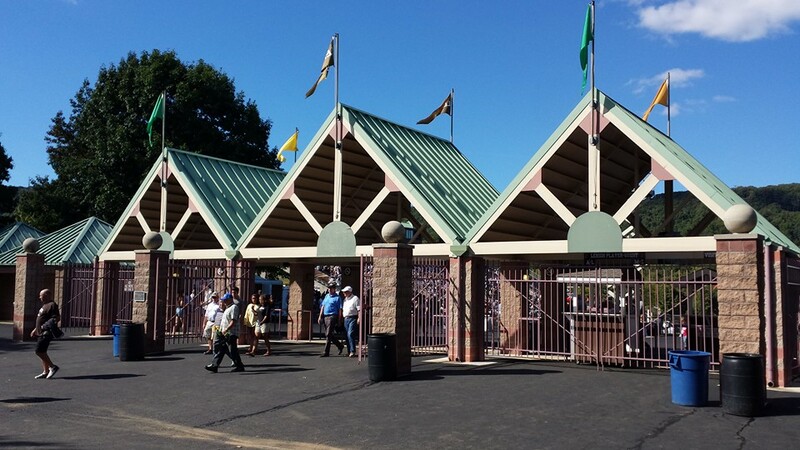 The stadium held 20,000 people, and was one of the earliest concrete stadiums built in America. 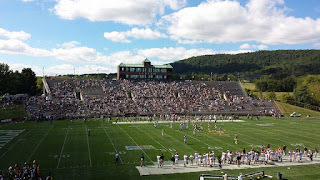 From 1929 to 1975, Lehigh competed in the Middle Three Conference, a round-robin type tournament that included Rutgers in New Jersey and Lafayette in Pennsylvania. 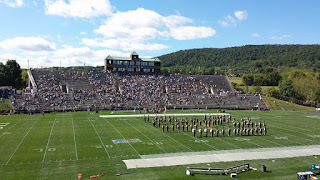 In 1977, Lehigh captured the Division II National Championship. 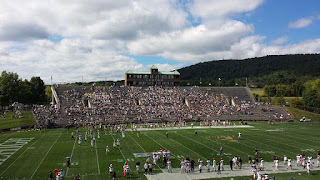 Since 1979, Lehigh has competed in the NCAA Division I-AA/NCAA Division I Football Championship Subdivision (FCS) and has appeared in the playoffs nine times, with their most recent appearance coming in 2011. 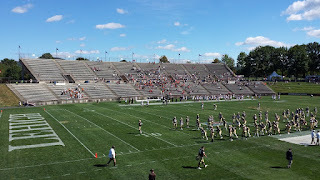 Lehigh was the Division I-AA runner up in 1979. 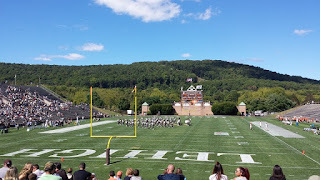 During the 1986 season, Lehigh joined the Patriot League where they won ten Patriot League titles and has played in 20 post season games, winning 10 of the contests. 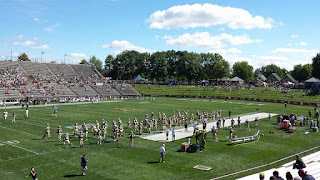 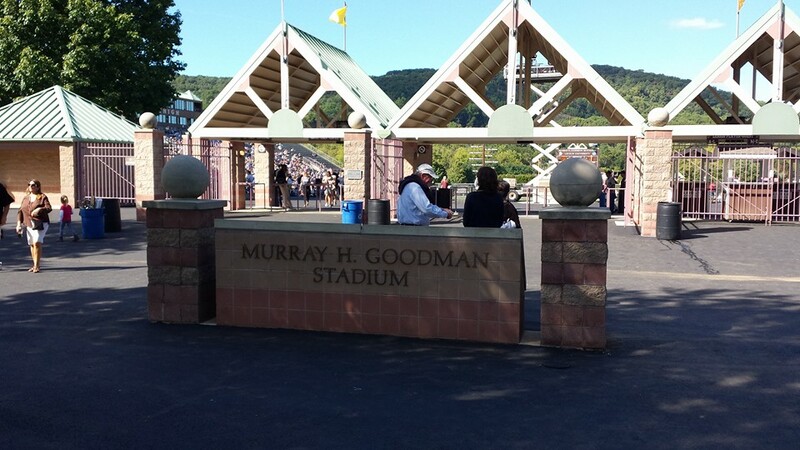 The Lehigh football program moved from Taylor Stadium to Goodman Stadium in 1988. 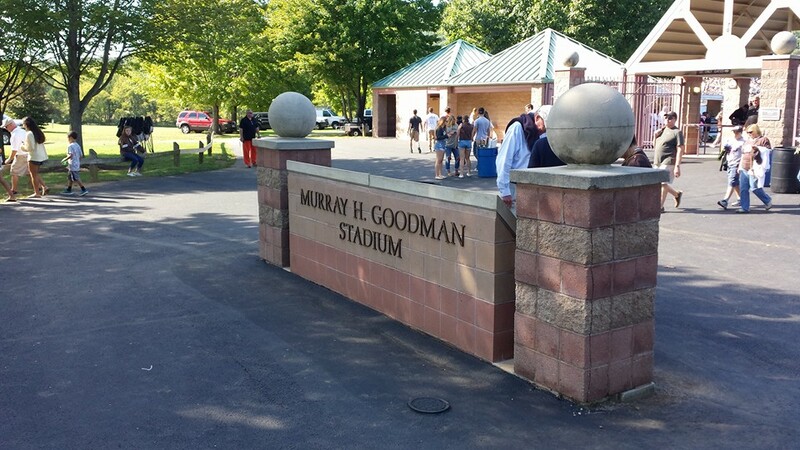 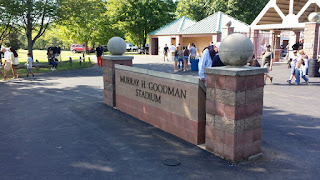 Goodman Stadium holds 16,000 people. 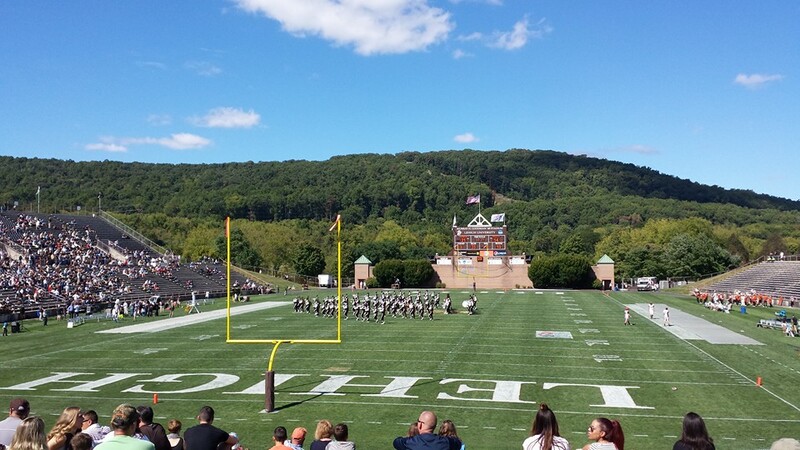 In 1995, Lehigh changed its mascot from the Engineers to the Mountain Hawks.